What happened to turning the othe cheek, you cnuts? What is about religious groups, fumie, that makes them think they can operate like any ordinary concern? 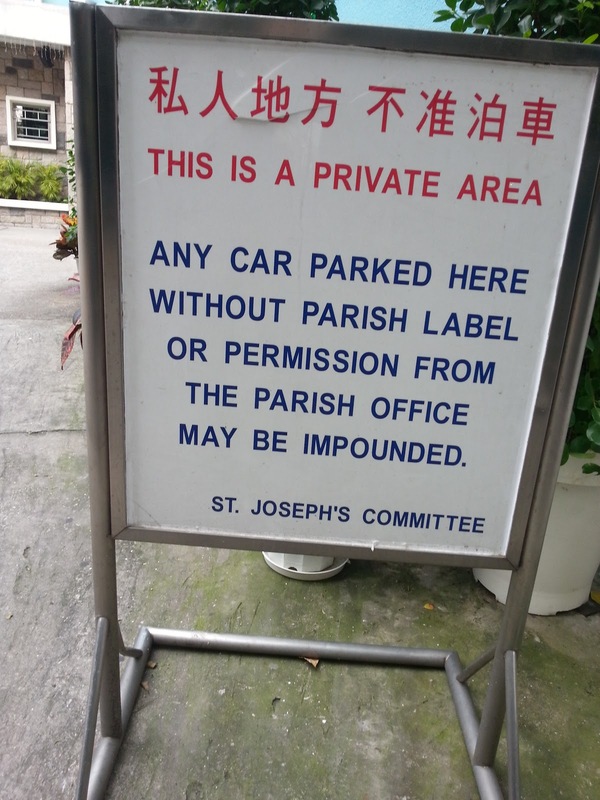 St John's Cathedral recently closed its car park to legitimate visitors on the flimsy pretext that they were undertaking renovation work. Doesn't seem to stop Sir Bow-tie's chauffeur parking there. Maybe he's got a label? They're not used to having the other cheek willingly turned for them. Forcing the other cheek, yes. Hence the warning about being "impounded." Just ask the altar boys. Miss Sparrow! You're back! I was checking out your site the other week to see how you were doing. S'up? Riots, sectarianism, etc. Back to the future, Norn Iron style. Thankfully I already had PTSD so I didn't have to be all noveau traumatized. That would be totes embarrassing. I just put through your comment on my blog... from last year, oops. Couldn't get in to my blog for ages as I had forgotten my password. Or Google/Blogger is/was evil. So I had given up for a good long while there. I haven't been round to the blogs since Jeebus was a pup. Not on the computer much anymore, and it's a pain to do blog rounds from a phone.